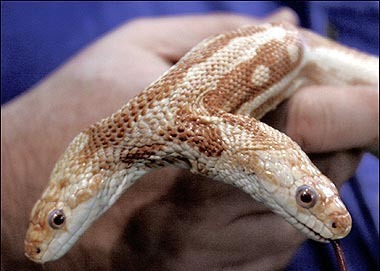 This reptile was sold on eBay, in January 2006, by an aquarium in St Louis with bids starting at $150,000. 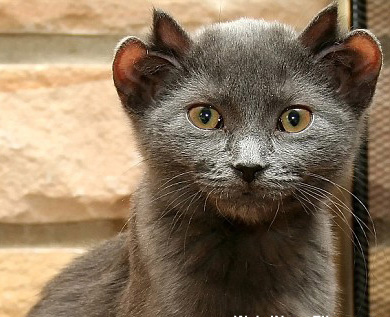 A household pet, named Yoda, was born with an extra set of ears. Valerie and Ted Rock took him in two years ago after visiting a bar near their home in Chicago, where he was being passed round by curious drinkers. 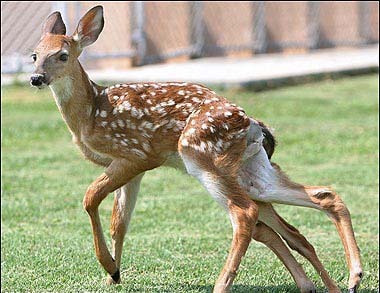 He was one of a large litter and the owners were looking for a home for him. 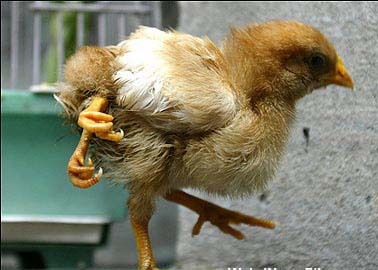 The four-legged chicken was found in China in 2005. 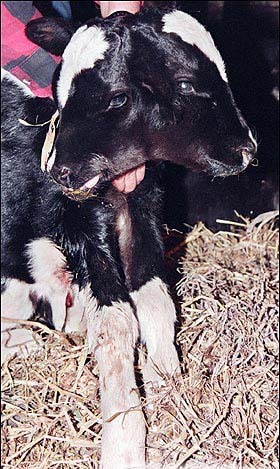 The two-headed calf born in Iowa, US in April 1998 had four eyes and three ears and was appropriately named Reflections. 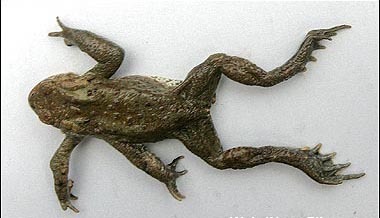 This five-legged amphibian was discovered by 10-year-old Tom Chudley in his familys garden pond in Devon, UK, in April 2006. 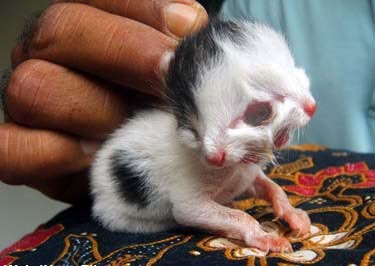 The 2006 two-headed kitten was deemed by veterinarians a deformed animal. 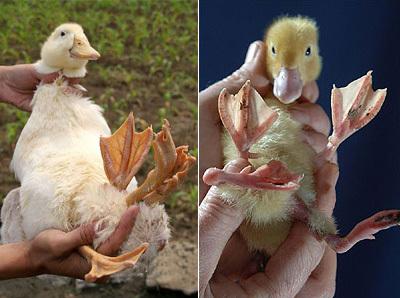 But feline lovers Zubir Kamaruddin, 49, and wife Sabariah Hassan, 43, in Perak, Malaysia, believe their kitten was a gift from God. 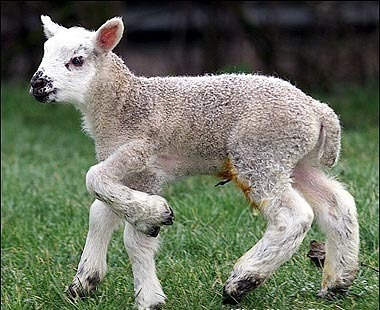 Jake the five-legged lamb was born on a farm in Toddington, UK, in 2001. 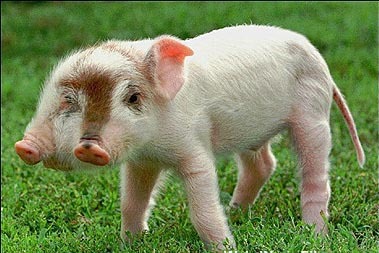 The two headed pig named Rudy was also born in Iowa, US, in March 1998, just a month before the double-headed calf. 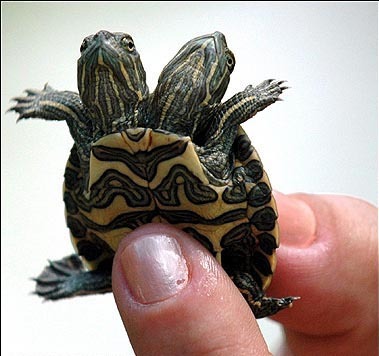 In 2005 this two-headed Cuban Slider turtle was found by the banks of a river in Havana, Cuba.